When we moved to Kingsport in 2001, an important task was finding a job for Billy. He had worked in a library for 21 years, valued and respected by his co-workers. Our first step was to visit the library in Kingsport, learning that his job was performed by volunteers. The next step was to Vocational Rehabilitation, then to Goodwill Industries, an agency that placed Billy in Food City. Food City is one of a large chain of grocery stores in Tennessee, Virginia, and West Virginia. Then we met Ed Moore, the manager of the largest Food City store in Kingsport. Ed gives people with disabilities the OPPORTUNITY to learn, to work, and to be respected. He does not patronize his employees who have disabilities – he requires from them the same skills and behavior that he demands from all of his employees. After his training, Billy began working at Food City for three days a week. Early on in this position, he got fired for saying a bad word to a customer – an act totally out of character for Billy. Our investigation showed that he was in a situation similar to the episode of Lucy in the candy factory: he got extremely frustrated when he couldn’t keep up with the cashier. He got fired. There are a number of employees with disabilities at Food City. Some of the disabilities are obvious, some are not visible. You can see Ed walking about the store, greeting the customers, in turn praising and reprimanding the employees, and treating everyone with fairness and respect. 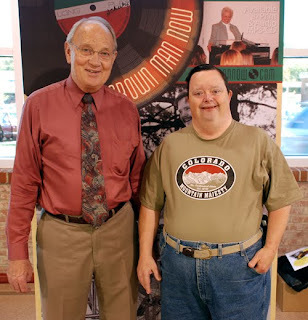 Ed Moore believes that having employees with disabilities is good for the community. He feels that his customers, as well as all his employees, have learned that people with disabilities can succeed if given an opportunity.